About 27 million Americans suffer from osteoarthritis, an often painful condition in which the cushioning cartilage between bones wears away. Many people are trying new therapies and dietary supplements such as glucosamine and chondroitin sulfate in their search for relief. Glucosamine is found naturally in the body. It stimulates the formation and repair of articular cartilage. Over-the-counter supplements come from animal sources. Chondroitin sulfate is another natural substance found in the body. It prevents other body enzymes from degrading the building blocks of joint cartilage. The type sold in health-food stores and pharmacies is derived from animal products. People who use these nutritional supplements hope that they will relieve the pain of osteoarthritis, and perhaps even repair or restore the joint cartilage. Recent evidence seems to support the first claim. 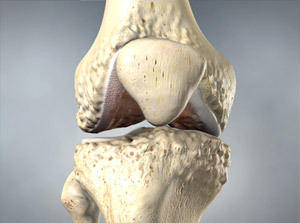 Both glucosamine and chondroitin sulfate have been used in Europe for several years, with few reported side effects. Both supplements also have some anti-inflammatory effects that may account for the pain relief. But there is no proof that either substance, taken singly or in combination, will actually slow the degenerative process or restore cartilage in arthritic joints. All studies done to date have been short and focused on pain relief. A long-term study is just beginning, sponsored by the National Institute of Arthritis and Musculoskeletal and Skin Diseases and the National Center for Complementary and Alternative Medicine. Dietary supplements like glucosamine and chondroitin sulfate are not tested or analyzed by the Food and Drug Administration before they are sold to consumers. That means consumers can’t be sure they’re getting what they pay for when they purchase bottles labeled “Glucosamine/Chondroitin.” In fact, a recent study by ConsumerLab.com showed that almost half of the glucosamine/ chondroitin supplements tested did not contain the labeled amounts of ingredients. Although many people believe that traditional physicians will dismiss their interest in supplements, many doctors are actually quite open to complementary treatments. However, these supplements are not appropriate for all forms of arthritis or for all people. Diabetics and pregnant women, for example, should be especially cautious. The effectiveness of these treatments is proven, and nutritional supplements should remain just that—complementary to your good health practices. You may need to take the supplements for a couple of months before you see any results, which makes it all that more important to continue your current treatments. Find out about the supplement you are considering buying. Are there any side effects? Will it interact with your current medication? Write to the manufacturer and ask for documentation that supports their claims. 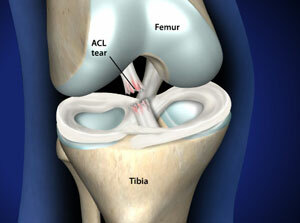 For additional information on glucosamine, check the web site for the National Institute’s of Health (www.nih.gov). Because these products are not regulated, consumers are on their own. Even products labeled “standardized” don’t meet outside standards, just internal ones set by the manufacturer. Standards can vary among manufacturers, so avoid brand names you don’t know. If anything does go wrong and you experience some adverse side effects, report them to your doctor quickly and stop taking the product. Remember that any supplement potent enough to help is probably also strong enough to harm if taken inappropriately.